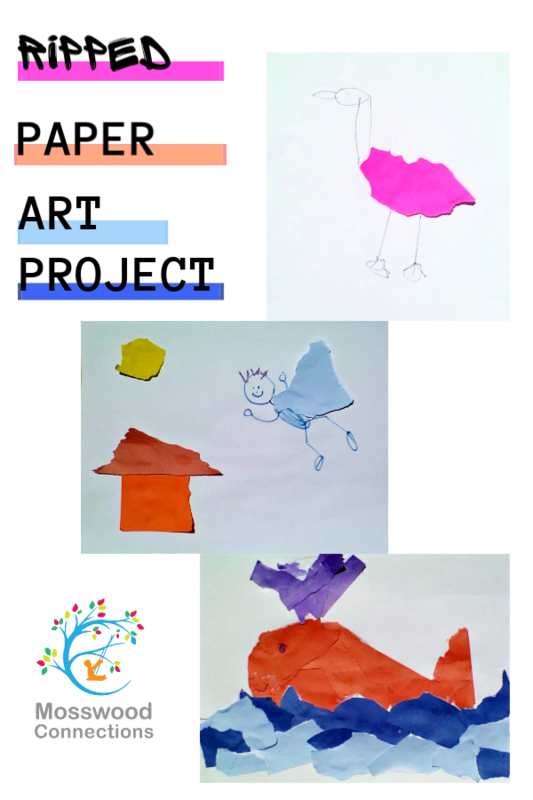 This deceptively simple Ripped Paper art project involves many skills. 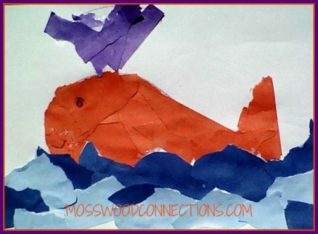 The kids will have fun creating art while they practice their fine motor skills! 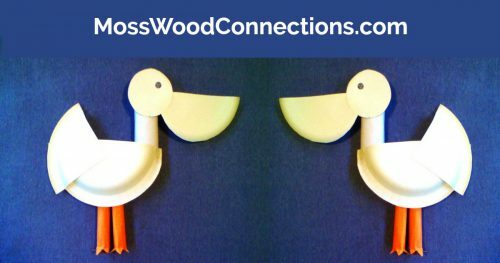 We make a lot of craft projects, they are a fantastic way to get the kids excited to learn. 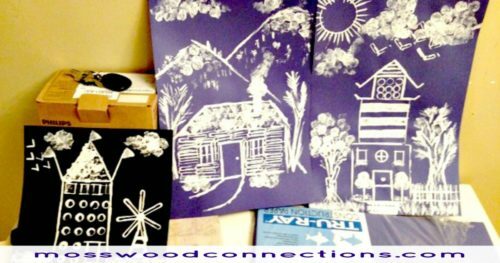 Sarah enjoys making crafts with her son and we both do quite a few crafts while we are working with children with special needs. We both feel a little guilty about how much paper we use so we save and reuse as much as possible. 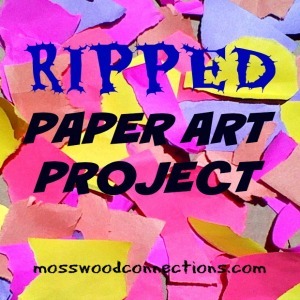 This Ripped Paper art project uses paper scraps that we saved rather than throwing away or recycling. Craft projects can build skills like emotional development, relationship building, and fine motor! Have the kids rip smaller pieces of the scrap paper. Ripping paper is great pincer finger exercise. You may want to rip some paper to make other shapes. Kids will tend to rip in one direction and mostly get long rectangles. We used the back side of the paper that had been drawn on. 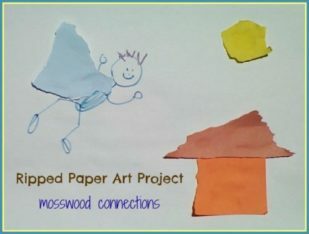 Have the kids glue the ripped paper on and add details to make a picture. Have them tell a story about the picture they made. Here is the story that one child told about his picture: "One day a boy wanted to be a superhero. He asked his mom for a cape. She gave him one and he could fly!"
. Some children will get to a certain level and drawing and stall. 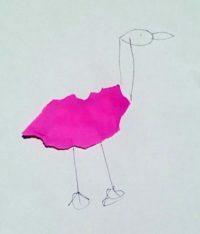 If you have a child who has been creating representative pictures (i.e. a reasonable picture of a person: body, legs, head, and arms) but does not add any more details, it is okay to encourage them to draw more. The child who drew the superhero stopped after drawing the boy. The hair was added as an afterthought. I wanted this child to expand on the drawing so I said, “Wow! That is a great superhero boy. I wonder what he can he see when he is flying so high.” That’s when the child decided to add the sun and the house. For young children, have them rip the paper. Draw a simple outline of a figure or scene on a piece of paper and have them glue the ripped paper in the outlines. 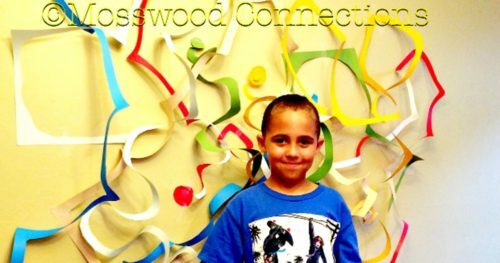 Process art brings out the creativity in children. It may seem childish and yet, it involves so many skills.